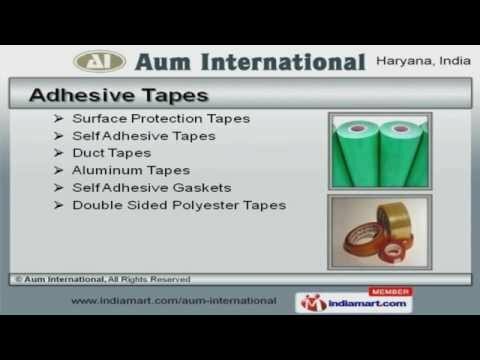 Welcome to Aum International, Manufacturer and Supplier of Adhesive and Foam Tapes. The company was incorporated in 2007 at Faridabad. Our Client centric organization and stringent quality checks make us unique in the industry. Environment friendly products, Moisture and temperature resistance are the plus points of our organization. We offer a wide assortment of Adhesive, Glazing Tapes and Packaging Materials. Our Adhesive Tapes are best in the industry amongst others. We are engaged in offering supreme quality Foam Tapes and Filters that are a class apart. Our clients can avail from us an exquisite range of Industrial Tapes are cost effective. We offer Sticky Tapes that are nothing but the best solution for all your needs. Along with that we offer Glazing Tapes and Packaging Materials that are extremely reliable.